Last week Jenny and I headed out to Rushmoor Bottom to fell a couple of tall birch trees which had tipped over and become hung up over the path. The combined root plate had heaved over, so it made the task of felling these wind-thrown trees all the more interesting. The larger tree dropped down as planned (after I expertly threw a stick at it), whilst the smaller one took a bit of perseverance with both our winches. We were pleased to get them both on the deck and safe for visitors. 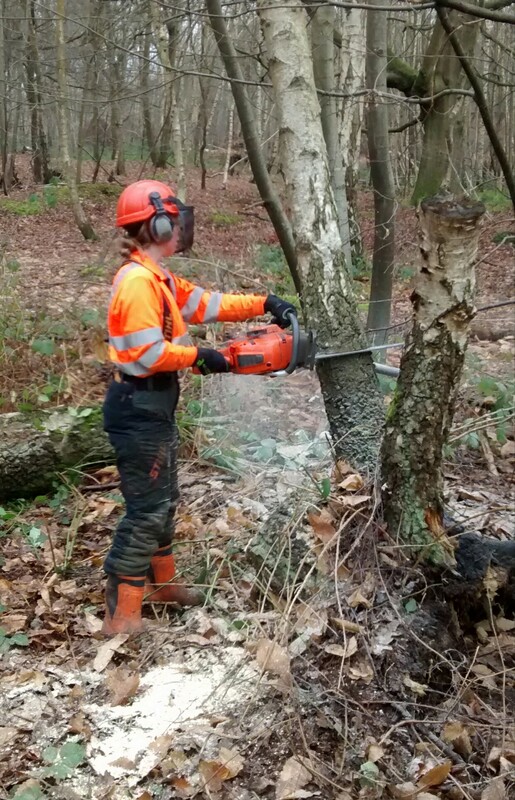 This entry was posted in Access, Wellesley Woodlands and tagged chainsaw, trees, Wellesley Woodlands. Bookmark the permalink.